Metal is a very important product for the stability and the strength. It also plays a very important role in our lives. There is almost no field where you cannot find its use. Whether, it is the beautiful jewelry that adorns the ladies and makes them look more gorgeous or the necessary hardware requirements in the doors and windows, metal manages to make a way into the life of every person. These metals are found in raw form from the earth’s surface. It undergoes various processes and after that, it is made into the proper shape to fit into the respective requirements. 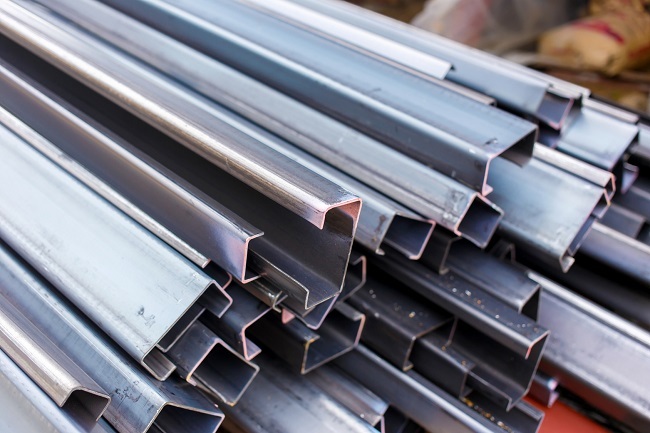 The building of the different structures from the raw metals after many different processes is called as metal fabrication. The fabrication of metal is done by various types of tools that help in making the process a success. You need to keep some of the important things in mind before you use the different tools for shaping up your metals. Here are a few tips that you should surely keep in mind while grooming your metal. Best tools for metal fabrication should always be kept sharp. Moreover, these should be available in the various sizes so that you need not search for the right tool in the middle of the process. Wide range of tools will help you to shape your metal in a more creative way providing the shape which you have imagined in your mind. Another most important thing that you need to keep in mind is that you will have to plan out the whole thing before you start the work. There is no thinking it and doing it. Once the sawing and cutting is done, there is no getting the moment back. Check your blueprint and design more than once and be sure before implementing it. When it comes to filing, the process can be tedious. So when you have decided to file, you should make sure that you have a lot of time to do this. There is one way to reduce the tedium for this. You should go for high quality files that too in a wide range of sizes. The file needed for different metal pieces vary from each other. If you have the right file then your job will be much easier. The filing should always be done in the same direction. It is better to file in the same direction rather than going back and forth. This makes the work more tedious and gives uneven result. So basically your effort will be wasted. If you feel like using any other tool while filing, you can easily do it in order to improve your work. For example, using magnifying glass while filing will help you deliver an accurate result in an easier way. This is the basic step while forming your shape. The metal should be hammered into a shape that can be used for the purpose that you are thinking of. To provide the basic shape, hard hammer should be used soft hammer should be used to provide accurate shape. Although, there are new techniques like electromagnetic forming and explosive forming that have been invented for hammering of the metal, the oldest one is the best and provides the best result. The new techniques can be used on larger projects. Explosive forming is performed underwater to form the metal whereas electromagnetic forming uses magnetic fields to form the shapes. The later process is more efficient and also environment friendly. Make your requirements advance with Metal Fabrication and Visit our website for extra information about Metal Fabrication.